Entry requirements: A bachelor degree with a 2:1 (hons) in a social science, humanities or other related subject. Optional modules will also allow you to specialise in aspects of development that suit your interests. We also offer specialist pathways for those wanting to focus on a particular area of development such as education, Africa, gender or the international political economy. 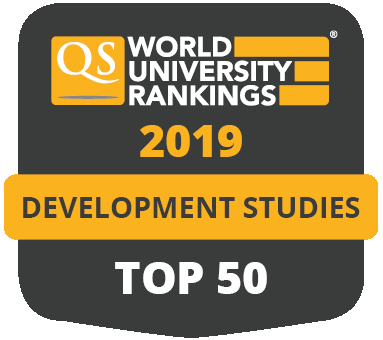 MA Global Development has a close working relationship with the Global Development research group that aims to examine central debates within the field of global development from an interdisciplinary perspective. The Global Development research group is also actively involved in the Centre for Global Development, a university-wide network that promotes cross-disciplinary approaches to the field, and the Leeds Centre for African Studies. The wide-ranging list of optional modules means that you can explore a diverse range of related subjects of interest to you, including natural resources struggles, global health, gender and globalisation, education, international political economy or issues related to Africa and China.